last February. 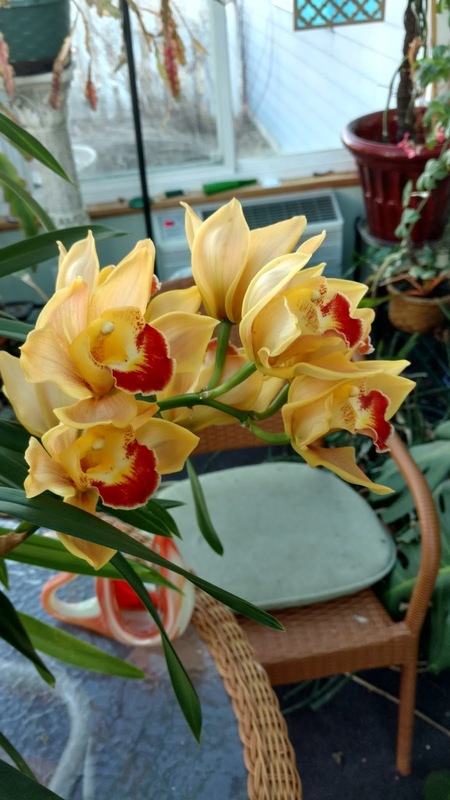 It had two bloom stalks. 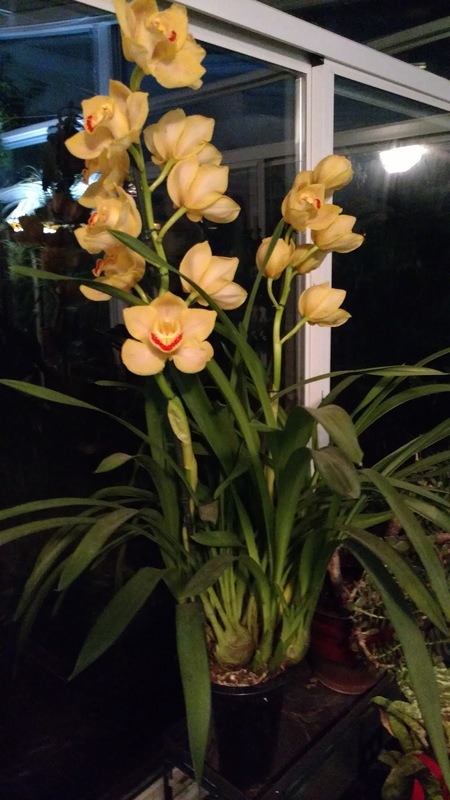 So I bought this plant wondering if, after the blooms faded, I'd ever see it bloom again. 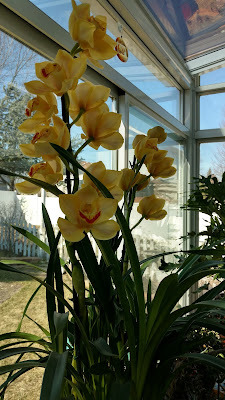 Orchids are finicky, I thought. I haven't been the most diligent of plant caretakers, especially these past few years. But the care sheet made it seem simple enough: Let the plant spend the summer outdoors in dappled light. The cooler night temperatures as fall approached would encourage rebloom. Did I do that? No, I didn't. 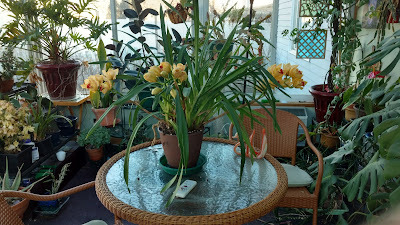 I left the plant in my sunroom. 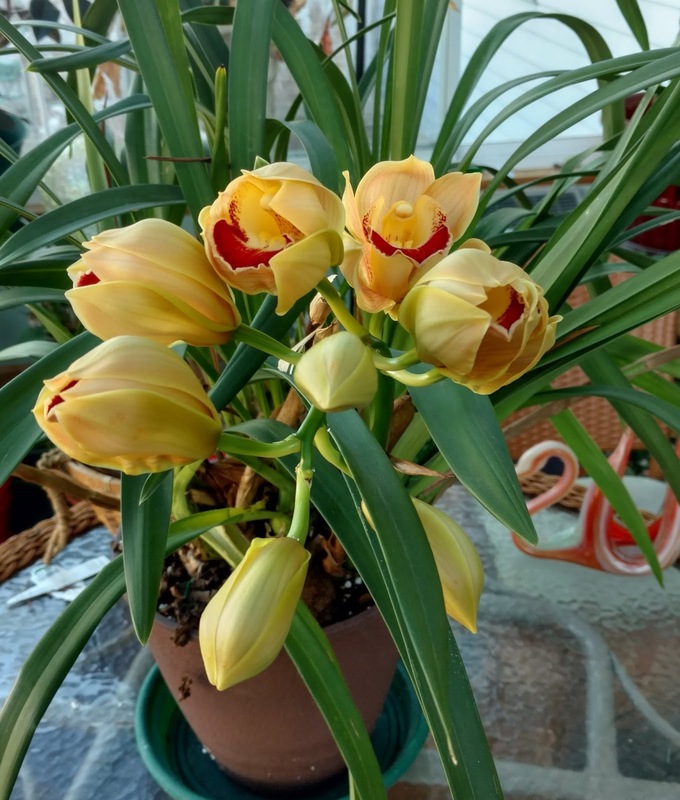 I repotted it after the flowers died. I used the special Cymbidium mix I bought for it, but I didn't put it outdoors. I fed it a couple of times when I remembered. But I kept it indoors. My sunroom does undergo a natural cool down at night. In the cool months, I keep the heater set at 60 degrees Fahrenheit. During the day, the sun warms the room to at least 70 degrees, and oftimes warmer. Close ups of the blooms and buds. 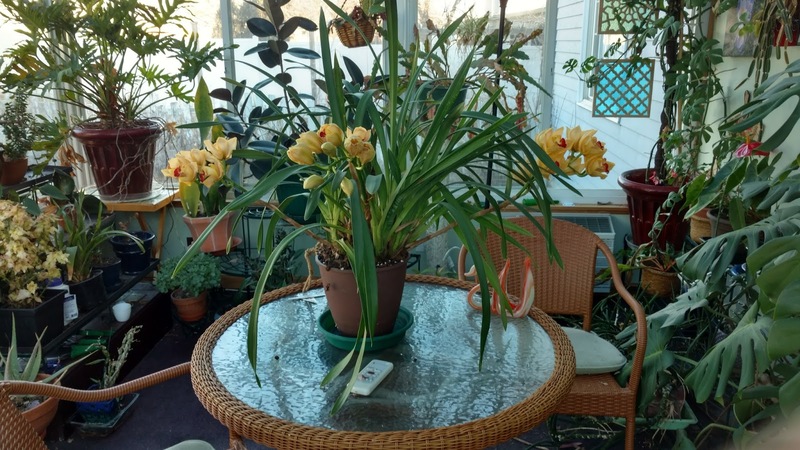 I have to admit that I don't know if the plant bloomed again because it liked my conditions, or because of the professional care it received previously. Next year will be the test. I plan to repot it again after the blooms fade. I'm not sure when that will be. 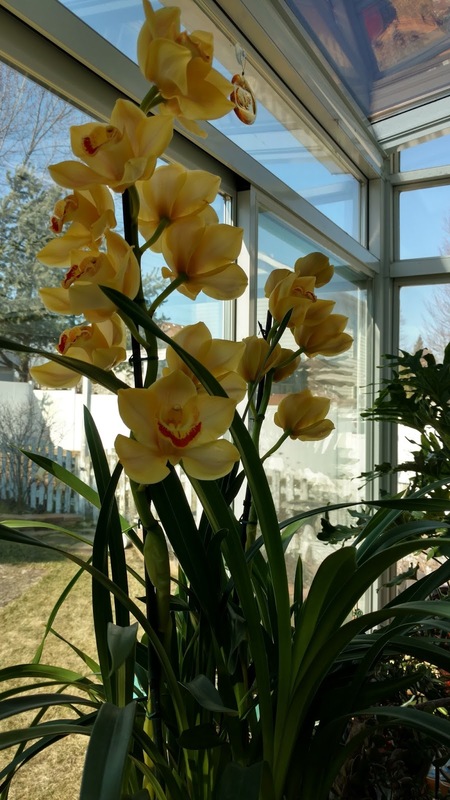 The plant started blooming in January, and is still going strong in March.